Chris Brown wants the world to know he’s a single man again. During his performance at Power 106’s annual Cali Christmas concert in Inglewood, CA on Friday night, the R&B star asked if there were any single ladies in the audience. He then announced his own relationship status to the crowd. 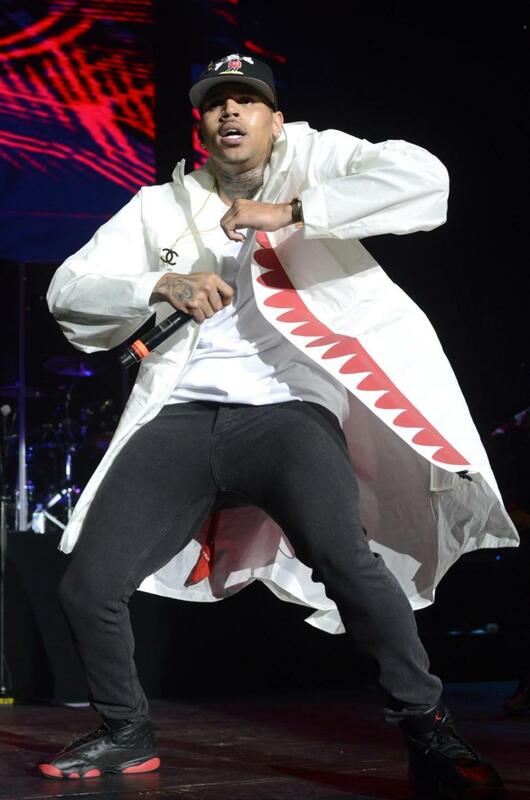 Brown was referring to his on-again, off-again relationship with girlfriend Karrueche Tran. While the “Forever” singer seems less than thrilled with his ex, Tran laughed off his comments on Twitter, and implied she was the one who initiated the split. Queen Beyonce Just Dropped Her Best Video Ever! Now this is how you break the Internet (cough cough Kim Kardashian). Just as everyone was about to dip into their first martini of the evening, Beyoncé — queen of the surprise everything — went ahead and released the video for her brand new single “7/11.” On a Friday night. Although we’ve only watched it 40 times in the last 20 minutes, it’s safe to say that this might in fact be the best video of all time. Yaaaaaaaaaas Queen! As the biggest pop star on the planet, Beyoncé has every resource imaginable when it comes to producing music videos. But, “7/11” looks like all she used was a GoPro, a messy hotel room, and some of the most spectacular choreography we ever did see. Love love love! We won’t say any more, because who are we to spoil all the fun? Just know this: A new standard has been set for hotel parties. Here, finally, is Nicki Minaj’s “Anaconda” video in all its twerktastic glory. As the teasers suggested, the main set pieces involve Nicki twerking. Twerking in a jungle. Twerking during exercise class. Twerking on Drake. Oh…and there’s also a scene where she is making a fruit salad. Such is Nicki’s world. Nicki Minaj’s highly anticipated “Anaconda” music video will hit a screen near you on Wednesday and Drake will make a major cameo. The Trinidadian rapper released a couple of stills from the highly anticipated video on Instagram yesterday and lets just say that Drake is a lucky guy.